__Come join the Friend Rising Discord server! Nice addition. Do not like the way the beautiful graphics on the trading post page have changed to dull squares though. 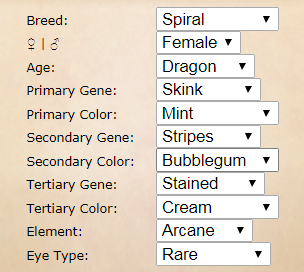 [quote name="Vynne" date="2018-08-22 06:38:52" ] Whoever wins the g1 is the new deity of FR heck Imagine being able to say that you own the first Roundsey derg AND he’s a triple [/quote] But seriously...ripcurrent? (Please don't ping me in the Suggestions Forum). this is so exciting! and that triple g1 is a gem! I wish there was a ticket cap. Other than that I like this. Looking for a gen1 orchid/orchid/x and gen1 cerulean/cerulean/x. Any gender, any genes, any breed, if it has offspring that's fine. I see a lot of people complaining about the economy but honestly? It's okay guys. This is a game and it's supposed to be fun, it shouldn't be as stressful as real life. Who cares if things cost less or whatever? Just let people have fun, especially new people in the site. @Aviana [img]https://78.media.tumblr.com/5be9915997fe684a981694f8a99f0b40/tumblr_pdv6l5KYpZ1v5y6qeo1_400.png[/img] [img]https://78.media.tumblr.com/98f09b0523d739f3f401a9cc8fa9d7e5/tumblr_inline_pdv6kpb9oo1tmq1g4_540.png[/img] This is as close as I can find to miss Roundsey! This is as close as I can find to miss Roundsey! [quote name="Falcolmreynolds" date="2018-08-22 06:38:41" ] Quick question: will there be new Trading Post art? I loved the stalls and the buttons are a little saddening :( I hope we get to see Roundsey stall art! [/quote] At this time, we don't have plans to redraw the Trading Post. The change was made to make the site UI more cohesive and a bit better for mobile players. It also has the added benefit of letting us add more Trading Post friends in the future, should we decide to! Quick question: will there be new Trading Post art? I loved the stalls and the buttons are a little saddening :( I hope we get to see Roundsey stall art! At this time, we don't have plans to redraw the Trading Post. The change was made to make the site UI more cohesive and a bit better for mobile players. It also has the added benefit of letting us add more Trading Post friends in the future, should we decide to! I was wondering why the Trading Post looked different today. The world is chaos, and I'm loving EVERY second of it. Come, have a seat, and watch the world burn with me.